Locking 2" Newton Equipment Flush Cap, 6 Bolt (3" Bolt Center) with angled neck. This setup is ideal for anyone looking to incorporate a remote fill flush cap setup into a current or future build. 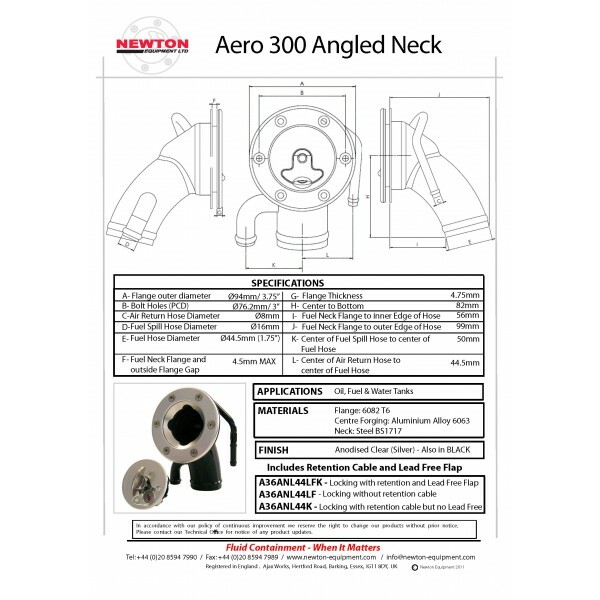 The angled neck features a fuel overflow return and a vent in the neck. The cap is lockable and features a small lanyard to prevent the loss of the cap and a fueling flapper required for use on street vehicles.